China’s biggest online shopping event that has taken the world by storm is back once more and we all ought to get ourselves prepared. With even more brands expected to be jumping into the bandwagon this year, for those still hesitant, it’s time to realise just how massive the Single’s Day event really is. What initially started out as a promotion in China by online retail site Tmall (Taobao Mall) for single people to feel less lonely, eventually turned into an epic business venture that clearly went beyond the world’s expectations. 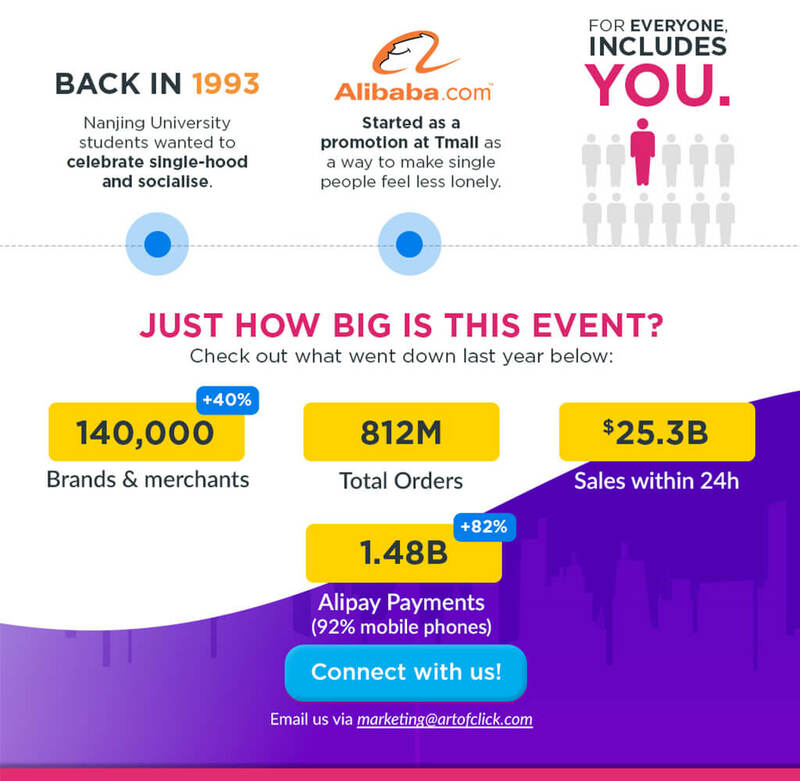 Since 2009, Alibaba’s online sales on Single’s Day have increased exponentially, from the US$7.8 million in total sales transacted on their e-commerce platform then, to a whopping US$25.3 billion in gross merchandise volume just last year alone. 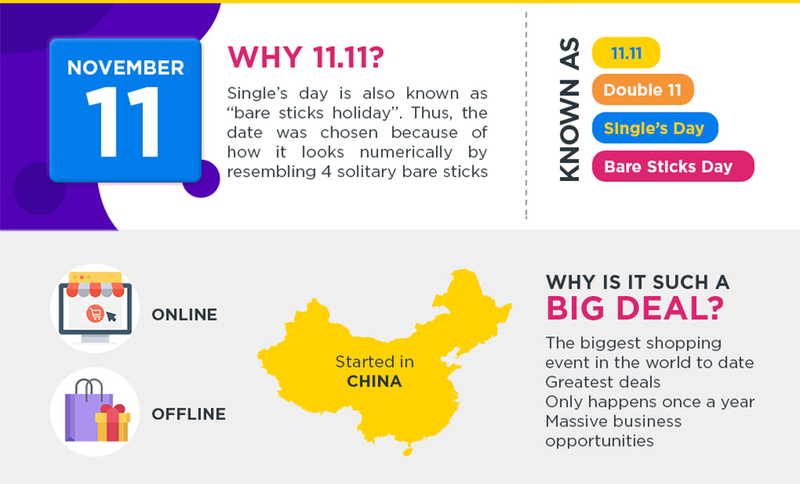 Single’s Day has since been popularised throughout the Internet and is observed at several places outside China as well. In 2017, Lazada recorded $123 million of gross merchandise value, which was a 171 percent increase from the previous year. If those numbers do not perk your interest by the slightest, we do not know what will. Be it promotions or deals, find out more on how we can assist you in creating engagement and buzz that is totally unique and catered to your campaign. Seize the opportunity the world’s biggest online shopping event has to offer by connecting with us!